Caring & Nurturing Our Golden Harvest To Provide The Myriad Of Health Benefits To People All Around The World, For Healthy Ways Lead To Healthier Lives. Using traditional tools and equipments, our hardworking farmers with all their might work hard, day in and out to give the most natural and organic produce. 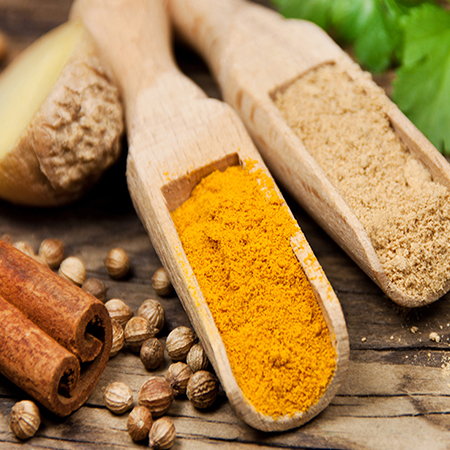 Once harvested, the golden blossom of our produce is collected to be cured and powdered, to give the most authentic curcumin enriched golden goodness to better one’s health. 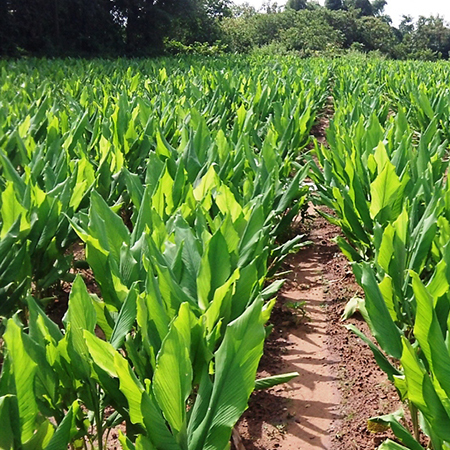 Our natural and traditional methods of farming provide for you and your loved ones, the most natural, organic, chemical free and Non-GMO curcumin enriched products, for we know the value of health to live a long, healthy life. By resorting to the traditional methods of farming, coupled with modern outreach programs, we offer an organic produce devoid of any artificial enhancement. We cultivate our crops in a way that the harvest is bountiful, both in quantity & organic quality. Health is the bedrock of a happier & fuller life. 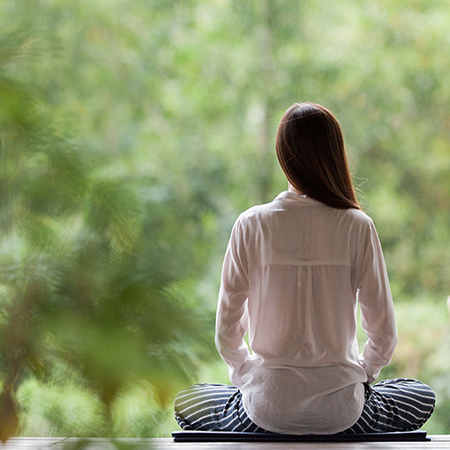 Our organic products help in reversing the ill effects of many unconducive life style habits. “Going Back To Nature" is what we like to call it. Mother Nature gives its best produce only when it’s actually produced or cultivated naturally. 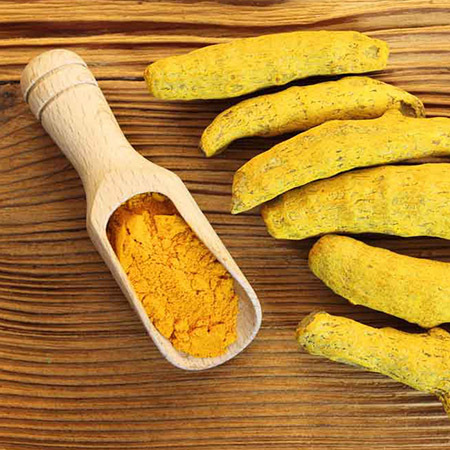 We thrive each day to give you the best organic produce enriched with the goodness of curcuma longa found in turmeric, because organic is nature's gift to us! 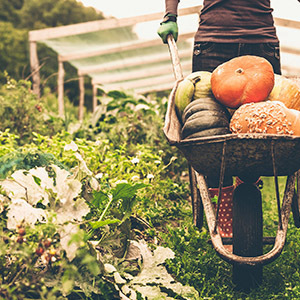 The idea of Organic Farming was originated back in the 20th century. Although it isn't a naive concept, because if we turn the pages of history, we will know that using compost, cow dung and other natural manures only increases the soils nutrients and it is an age old practice, which gave the best and most pure produce. But sadly this practice, for the past few years has got faded under the light of chemical fertilizers and pesticides. So, to bring the old culture and natural produce back, it was brought back under the name of “Organic Farming”. Organic Farming keeps both, the crop and the soil, in good health. The organic wastes like animal wastes, plant wastes, aquatic wastes etc. are used to enrich the soil’s nutrients. Apart from these, good microbes are also induced. All these naturally increase the soil's life. They're called as bio fertilizers. Through Organic Farming, we at Bagdara Farms thrive to serve the best of health and wellness products to one and all. It's always best if it's natural! Organic Farming is a natural way of producing healthy nutrient rich crops. And thus, there are ample of benefits of the same. Since organic farming discourages the use of chemicals or chemical based fertilizers, it keeps the soil's nutrient value intact. It not only maintains the soil's life, but also adds to it manifold nutrient benefits. It supports water conservation. Since organic farming requires less water for irrigation; ultimately water is saved. It saves in quantities and saves from pollution. Supports animal and environment health care. 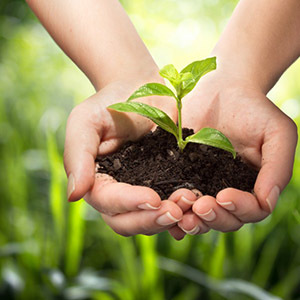 A registered enterprise, HI Wellness Private Limited is an organization engaged in organic farming. From use of only natural manures to crop rotation, the organization works in collaboration with local cultivators, soil experts, botanist and researchers to generate plant produce that are high in nutrition and have a zero presence of pesticides, chemicals or heavy metals. Moreover, the plant products are also tested on various standard parameters after harvest to ensure the organic and nutritional properties of the produce. HI Wellness initiative of organic farming has been highly applauded by the government and social organizations as millions of people now have a chance to change their lifestyle with this organic food products. Our farming area is spread over a vast area of land located amid the dense wilderness of Bandhavgarh National Forest in Madhya Pradesh. Since the land under cultivation is next to a forest area, it is very rich in minerals and nutrients. 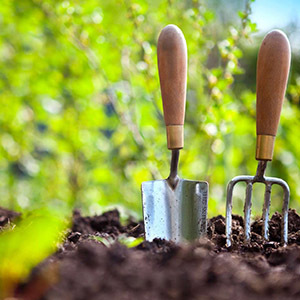 Due to the very nature of soil in this area, the cultivation process does not require the addition of any artificial or chemical fertilizers. Here, the entire cultivation is undertaken by the local population of the nearby villages, which also includes the tribal’s. Such an initiative generates job opportunity for more than 2000 villagers, which eventually improves their standard of living by providing them with financial independence. Along with generating job opportunities, our organization provides the locals with organic food products, which makes it possible for them to lead a disease free, healthy life. The company also teaches them the best & most proficient techniques & practices to be followed for organic farming, thereby increasing their knowledge and empowering the entire community. In adherence to organic farming and organic practices, only lab tested seeds of vegetables & fruits are used for the farming. Drop in your query or message and we will surely contact you.